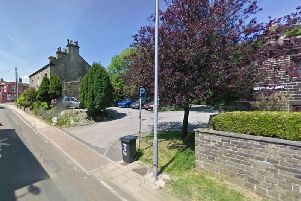 Forty years ago, a public meeting was held at the Dusty Miller in Mytholmroyd to discuss the provision of youth facilities in the village. The local scout master, Geoffrey Woodhead, wanted a new scout room and the late Thomas Dawson, our village constable, said the young people wanted a youth club. Geoffrey Woodhead said the derelict chicken hut at Elphaborough would be ideal and it was decided to ask Calderdale Council if they would allow the chicken hut to be used for community purposes; and Mytholmroyd Community Association was born. The Association was granted a lease by Calderdale Council and Geoffrey Woodhead produced a plan which divided the chicken hut to provide a scout room, playgroup and toddler room and a youth club and community rooms. Local businesses, members of the community and the young people set about cleaning up the chicken hut and converting it into a community centre. The scouts had a new headquarters and the young people had a youth club. The playgroup and toddler group was established and the local community had meetings rooms and community halls which are well used by other groups and for private functions. The centre was officially opened by HRH the Duke of Gloucester, to commemorate Her Majesty’s Silver Jubilee in 1977. In 1979 a sports hall was built providing two badminton courts, cricket nets, fitness suite, sauna and two squash courts. This facility is very used by local schools and sports clubs. A weightlifting section was established by Frank Rothwell, who represented Ireland in the Olympic Games. It has now been accredited by the British Weight Lifting Association as a centre of excellence. It operates under the supervision of a former British and European Middleweight Champion, Eddie Halstead. This year Rebekah Tiler has won gold medals in both the European and Commonwealth Games. The Calder Valley Fell Runners are a very successful group whose members have won medals at local, national and world events. The sports hall was officially opened by Brigadier Hargreaves, the Lord Lieutenant, in 1981. The Community and Leisure Centre, which is managed by members of the local community, is the largest in Calderdale, if not in West Yorkshire, and illustrates what a local community can achieve. In the near future a swimming pool, gym and aerobic dance studio will be built on the car park. We would like to generate the same support and enthusiasm for this ambitious project from members of the public to help drive this development forward and ensure its success. The local parish council has joined together to draw up a Neighbourhood Plan for the area and, in order to respond, we have prepared a questionnaire to distribute in the area to find out what improvements or developments the local people would like to see in the future.